Teen loup Most overrated Characters in my opinion; Who do toi like the most? Stiles was close to making this list too, but I love him too much to put him on it, and well I'm also pretty sure that he would just get all the votes then. But even though he IS one of my very favorite characters he is a bit overrated, it is kinda crazy how he is ten times more popular than almost any other character. I love Malia and Lydia! I really like Isaac, I'm indifferent/like/really like Derek. I do agree about these characters being somewhat overrated though, to be honest I wish most of the characters were closer to each other in popularity, because I love most of them pretty equally and I wish they could all get the love they deserve! But it's always the same characters that gets all the attention. I love all four! xD But Isaac and Derek are my babies. I agree with Articuno about personally not thinking they're overrated; especially Malia, she actually gets a lot of (unwarranted) hate. And I definitely don;t think Stiles is overrated, I think he deserves all the love he gets, just because a character's well loved doesn't necessarily mean they're overrated! @NCIS I know that! But even though he is one of my favorites and I love him I still think his popularity is a little too much, I would have preferred if some of that love could go to other characters too. But obviously a character is only overrated if they are more popular than I think they deserve, so it's also a subjective thing, I personally don't get why Derek, Lydia, Isaac or Malia is so much more popular than Scott or Kira. Well I often have the opposite opinion of the majority so, it's not surprising though. I love Lydia but I will admit that she is kind of overrated, just a little. Lol. And Derek.. Idk, I think a lot of people solely like him because "he's hot", but then there are a lot of fans that love /him/, not just his looks. We'll have to agree to disagree on Isaac & Malia, I think Isaac is perfectly rated - liked by nearly everyone, and loved by some; and Malia I think is a bit underrated! Her character development is such a beautiful thing, and she's become such an amazing person, and yet half the fans dislike/hate her (most because they ship Stydia... -_-). ^I agree with you on Malia! I recently realized exactly how much I love her! 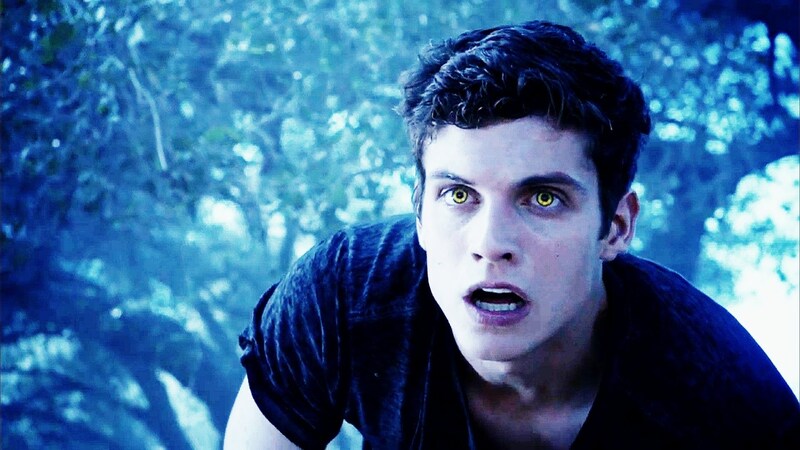 PLEASE Jeff Davis don't take away any more of our beloved characters!!!! I'm also VERY relieved to hear that they won't replace Dylan because of his accident! It wouldn't be the same without him, it would just feel SO wrong, Dylan (Stiles) have had a relationship with all the characters for 5 whole seasons now, it can't just be replaced like "Oh now this is Stiles" And we all know how much the fans love Dylan and Stiles, Jeff would also be stupid to replace him, he is 75% of what the fans love! ^^ Don't worry I wasn't offended! Yeah <3 Even though I wish there were more. I've never been a huge fan of Lydia and the first couple of seasons I really disliked/hated her, but Season 5 is definitely my favorite season for her. It seems to me that A LOT of fans (here at least) favor Derek because "he is hot" and in my opinion WAY too many, but obviously I can't control how people choose to pick their favorites. I think Isaac is pretty overrated, he is not nearly as much of a influenced character as Scott and somehow people still seem to care more about him (Of course some people will always have different opinions, but I mean the majority and that's what I don't get). He is likable, but I really don't see how he could be better or more likable than Scott, he came in Season 2, he wasn't that complex and important as a character and in total he was there for one more season! We have seen Scott grow throughout EVERY seasons, since the very beginning. Well I would also say Malia is the least overrated of them IMO. ^ He already took away one of my favorite characters and my favorite couple! So yeah he better not ruin the show completely for me. That's good to know! :D I agree Dylan can never be replaced as Stiles! @Articuno Right?! The first time I watched S3B I honestly strongly disliked Malia, especially since she and Stiles were just BAM thrown together in a relationship and ugh. But when I rewatched the show through a second time, I ignored that and just focused on her, and she's awesome! And just becomes more awesome over time! Like I'm rewatching through again, and just finished S4 yesterday, and when she & Peter are driving down to Mexico (for them all to save Scott) Peter asked her "Are you worried about your boyfriend?" and she replied "I'm worried about all of them." And I just.. <33333 And then in S5 she developed even more, I just love it. Her character development is one of the best things about the show, IMO! &OMG if they replaced Dylan I would stop watching, honestly! I'd rather the entire S6 be put on hold, rather than that happen. And I think if he was replaced the show would lose half their remaining viewers, because a lot of them (myself included) mostly stick around for him. I see your point, but disliking Isaac just because Scott isn't loved as much as him isn't fair, lol. If you look at him as an individual, not adding Scott, or anyone else into the equation, I don't see why he'd be unlikable. He's adorable and such a dork, and hilarious. A precious cinnamon roll that I want to wrap in a blanket and keep safe from the world. xD Okay, my bias is showing, but still I think he's a great character, and I wish he'd return. And I agree with you that Scott had major development! I honestly didn't care for him much in S1, he was whiny and annoying and treated Stiles like crap half the time, but he's grown so much. He's become a better friend, and a better leader for his pack, and yes he's definitely underrated! Derek is my all-time favorite character. Lydia is my favorite TW female. I really like Isaac, too. Lydia is my all-time favorite. Her character development is amazing!! I also love Isaac and Malia :) I was always pretty neutral on Derek, and I do not really miss him, so I guess it's fair to say that I didn't really care about him after all lol. I think liking a character because he's/she's hot is stupid, but who am I to tell someone how to pick their favorites lol! ^ Obviously not. Because him you love. He is more popular than Scott and isn't overrated to you, Scott is unpopular but overrated to you, it's very clear that you think Derek deserves 100x more fans. But basically everyone here who voted, only prove my point of why I find these characters overrated and Scott, Kira and Allison underrated... You all love these characters, but none of you really love the other three. Malia and Derek are awesome! Awesome and badass. Lydia is not my cop of tea at all!! What do you care more about? Favorite name out of these? [Scott & Malia] Favorite screenshot? I combined a few names; Which do you like more?